SKU: WD1303N. Categories: Beads & Pendants, Natural Beads, Round Wood Beads, Wood Beads. 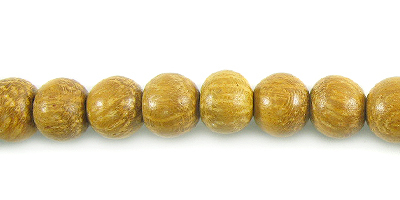 Nangka wood round 3-4mm beads made from jackfruit tree. Nangka tree is fast growing and bears fruit within its first year. Fruit is edible with very sweet yellow flesh. Can eat the fruit raw or made into jam. The wood has a natural yellow color with light visible grains.